The organizational forms of alternative unionism included federal labor unions, ad hoc factory committees, and improvised central labor bodies.4 Historians have supposed that the general strikes in Toledo, Minneapolis, and San Francisco in 1934 were isolated events. We suggest that, on the contrary, these local general strikes were characteristic of what Rosemary Feurer and Gary Gerstle call the “mobilization” of working-class communities.5 In the absence of effective national organizations from which they could seek help, rank and filers were obliged to turn to each other and create horizontal networks that in turn generated a distinctive organizational culture and set of attitudes. I have been struck by the resemblance between the “alternative unionism” of the 1930s and the rank-and-file militancy of the Industrial Workers of the World (the IWW). The following evidence, for the most part unknown to me before this project began, supports that impression. The sit-down strikes in Akron and Flint, far from being planned by the national CIO, arose spontaneously from below and were initially opposed by CIO leaders. David Brody writes, “President Sherman Dalrymple of the Rubber Workers at first opposed the sit-downs. Spontaneous sit-downs within the plants accounted for the initial victories in auto and rubber.”21 Ronald Edsforth confirms that the Flint strike “caught the U.A.W. hierarchy by surprise. 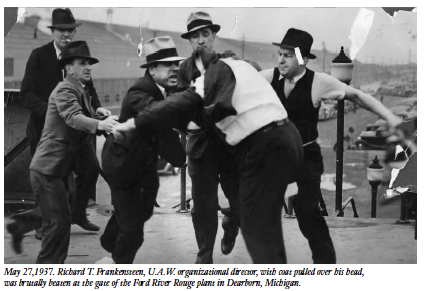 They had not planned any action until the first of the year.” Although CIO and UAW leaders supported the Flint sit-down once it was under way, their difference with the rank and file over timing was also a disagreement about the authority to start strikes. I emphasize that I am talking about the character of the alternative unionism of the 1930s, not its causation. In many communities, such as the southern textile towns Janet Irons describes, the alternative unionism of the early 1930s developed free of any apparent influence from IWW or other radicals. In some situations, such as the St. Louis nut-pickers’ strike, the Southern Tenant Farmers’ Union or the first sit-down in the Alabama steel industry, Communists, Trotskyists, Socialists, or Musteites played the role that Wobblies did elsewhere.24 Much more research would be needed to support any general theory of causation. An essentially localized movement that took form more or less simultaneously in literally dozens of communities is unlikely to show any single dominant pattern of cause and effect. I think it is clear, however, that a community-based, horizontally bonded “culture of struggle,” with roots in such epic battles as the 1916 Westinghouse strike, the Lawrence, Massachusetts, strikes of 1912 and 1919, and community-based strikes in coal mining and cotton textile towns during the 1920s,25 also pervaded the alternative unionism of the early 1930s and the first years of many CIO local unions. Because of the affinity between the character of the alternative unions we have uncovered and the tradition of the IWW, we have chosen as a title the words embattled workers in both settings used. When Wobblies approached Everett, Washington, on the steamer Verona in November 1916, Walker Smith reported, “Sheriff McRae called out to them: ‘Who is your leader?’ Immediate and unmistakable was the answer from every I.W.W. : ‘We are all leaders.’”26 Likewise on March 7, 1932, about 3,000 unemployed Ford workers tried to march from Detroit to Ford headquarters in Dearborn, and at the Dearborn city limits, about fifty Dearborn police and private police from the Ford plant blocked the road. “‘Who are your leaders?’ an officer called out. ‘We are all leaders!’ someone shouted back.”27 After these words were spoken, the authorities in each situation opened fire, killing five men in Everett and four in Dearborn. There appear to be three basic ways of looking at the CIO in relation to the alternative unionism of the early 1930s. The first view is that at the outset of large social movements there is often a period of mass enthusiasm, egalitarianism, and “primitive democracy” (the phrase was coined by Sidney and Beatrice Webb), but as the movement grows and settles down to its serious tasks, an efficient centralized bureaucracy inevitably takes over. In this view the bureaucratized business union movement that the CIO had become by 1950 was natural and inevitable. A second interpretation of the CIO in its relation to alternative unionism is that everything depends on the ideology of the leadership. Had Communist leadership been able to survive, it is argued, the CIO might have been very different. This way of looking at things tends to lead to campaigns to replace the top personnel of existing AFL-CIO national unions. The danger is that the effort to regulate industrial relations by requiring of employers certain “fair practices,” while appearing to impose those obligations upon them, necessarily brings the whole subject within the scope of governmental regulation. This involves a certain assumption as to a status quo. To prevent or discourage strikes which have for their purpose gradual increase in the workers’ power in a period when fundamental economic change in the ownership of industry can clearly be envisaged may only serve to check the rising power of the exponents of human rights, and indeed to protect private property rights in exchange for obligations which are likely to be merely the least common denominator of industrial practice. Governor Elmer Benson, who had won election on the Farmer Labor ticket, thereupon appeared on the scene as a mediator. The settlement he proposed and eventually negotiated had three elements. First, all imprisoned workers were to be freed. Second, the company was to recognize and bargain with the IUAW. 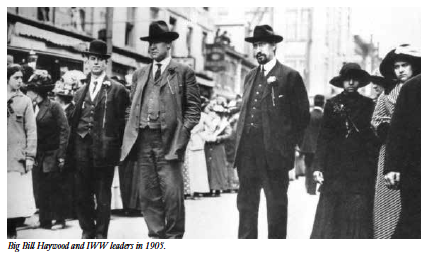 Third, the IUAW was to affiliate with a national union within sixty days. As it worked out, different IUAW local bodies joined different national unions, and the “one big union” at a city and regional level that the IUAW had nurtured for four years fell apart. What did affiliation with a national union represent to the Albert Lea business community and to a governor anxious for social peace? Why was this chosen as the quid that would compensate the bosses for the quo of emptying the jails and agreeing to bargain? Accordingly, in contrast to those who emphasize the difference between the original CIO unions and what they became after World War II, we stress those features of national CIO unionism that from the beginning (or very shortly thereafter) distinguished CIO unionism at the national level from the horizontal, community-based unionism of the early 1930s. Likewise the national CIO deliberately broke up militant local industrial unions like Local 65 of the Steelworkers in South Chicago and Local 156 of the UAW in Flint. Lizabeth Cohen narrates the disillusionment of George Patterson, who founded the Associated Employees at U.S. Steel South Works in Chicago and led it into the Steel Workers Organizing Committee (SWOC), where it became Local 65 of the United Steelworkers of America. Staughton Lynd is an American conscientious objector, Quaker, peace activist and civil rights activist, tax resister, historian, professor, author and lawyer. This excerpt is from Stuaghton Lynd’s recent book, Doing History from the Bottom Up, available from Haymarket Books. 1. Elizabeth Faue, Community of Suffering and Struggle: Women, Men, and the Laboring Movement in Minneapolis, 1915–1945 (Chapel Hill: University of North Carolina Press, 1991), 4. For solidarity unionism, see Staughton Lynd, Solidarity Unionism: Rebuilding the Labor Movement from Below (Chicago: Charles H. Kerr, 1992). 3. John Borsos, “‘We Make You This Appeal in the Name of Every Union Man and Woman in Barberton’: Solidarity Unionism in Barberton, Ohio, 1933– 41,” herein. 4. See, for example, Daniel Nelson, American Rubber Workers and Organized Labor, 1900–1941 (Princeton, NJ: Princeton University Press, 1988), 116–17 (factory council), 117–69 (federal labor unions); Ronald Edsforth, Class Conflict and Cultural Consensus: The Making of a Mass Consumer Society in Flint, Michigan (New Brunswick, NJ: Rutgers University Press, 1987), 130–36 (strike committee of 120 members), 162 (citywide council of federal labor unions), 181–83 (in the aftermath of the Flint sit-down, the UAW acts as a “general workers union,” organizing bus drivers, department store clerks, taxi drivers, etc.). 6. See Staughton Lynd, “The Possibility of Radicalism in the Early 1930s: The Case of Steel,” in Workers’ Struggles Past and Present: A “Radical America” Reader, ed. James Green (Philadelphia: Temple University Press, 1983), 191–92, 205n6 and n11. 7. Nelson, American Rubber Workers, 145. Sidney Hillman told his biographer, Mathew Josephson, that during the NRA period over 40,000 rubber workers had been organized. David Brody, “The Emergence of Mass-Production Unionism,” in Workers in Industrial America: Essays on the Twentieth Century Struggle (New York: Oxford University Press, 1980), 90. 8. Edsforth, Class Conflict, 162, 265n11, 176. 9. Janet Irons, “The Challenge of National Coordination: Southern Textile Workers and the General Textile Strike of 1934,” herein. 11. Len DeCaux, The Living Spirit of the Wobblies (New York: International Publishers, 1978), 143. 12. Edsforth, Class Conflict, 159 (Klasey); Shelton Stromquist, Solidarity and Survival: An Oral History of Iowa Labor in the Twentieth Century (Iowa City: University of Iowa Press, 1993), 40, 115 (Ellis and the IUAW); Stan Weir, “Unions with Leaders Who Stay on the Job,” herein (Blackie and Chips); John W. Anderson, “How I Became Part of the Labor Movement,” in Rank and File, ed. Lynd and Lynd, 35, 61–62, 65; Steve Nelson with James R. Barrett and Rob Ruck, Steve Nelson: American Radical (Pittsburgh: University of Pittsburgh Press, 1981), 91–92 (Freeman Thompson). 13. David Montgomery, The Fall of the House of Labor: The Workplace, the State, and American Labor Activism (Cambridge: Cambridge University Press, 1987), 457. 14. Ibid., 322 (committee), 319 (IWW). 15. Ronald W. Schatz, The Electrical Workers: A History of Labor at General Electric and Westinghouse, 1923–60 (Urbana: University of Illinois Press, 1983), 73. 16. “Workplace contractualism” is offered by David Brody to characterize “the essential characteristics of the union workplace regime that emerged out of the great New Deal organizing era in the mass-production sector of American industry.” Brody, “Workplace Contractualism in Comparative Perspective,” in Industrial Democracy in America: The Ambiguous Promise, ed. Nelson Lichtenstein and Howell John Harris (Cambridge: Cambridge University Press, 1993), 176. 17. Woods explains: “We said if you have a closed shop and check-off, everybody sits on their butts and they don’t have to worry about organizing and they don’t care what happens. We never wanted it.” Sylvia Woods, “You Have to Fight for Freedom,” in Rank and File, ed. Lynd and Lynd, 126. The organizers my wife and I interviewed for Rank and File told us that the advent of the dues check-off was the single most important cause of the bureaucratization of the CIO. Hence our generalization: “Once unions gained recognition and union dues were automatically taken out of the worker’s paycheck, unions took on a new character.” Ibid., 4. 18. Daniel Nelson, “Origins of the Sit-Down Era: Worker Militancy and Innovation in the Rubber Industry, 1934–1938,” in The Labor History Reader, ed. Daniel J. Leab (Urbana: University of Illinois Press, 1985), 344. 20. For John Sargent’s assessment, see “Your Dog Don’t Bark No More,” above. Scholars support his appraisal. After examining the grievance committee minutes at Inland Steel during the late 1930s, and quoting from the accounts of Sargent and committeeman Nick Migas in Rank and File, Lizabeth Cohen states that “at steel mills where the SWOC did not yet have contracts and hence could not control the rank and file, shop floor agitation persisted.” Making a New Deal: Industrial Workers in Chicago, 1919–1939 (Cambridge: Cambridge University Press, 1990), 306–07. 21. Brody, “The Emergence of Mass-Production Unionism,” 103. 22. Edsforth, Class Conflict, 171; Germer is quoted in Sidney Fine, Sitdown: The General Motors Strike of 1936–1937 (Ann Arbor: University of Michigan Press, 1969), 136. 23. Edsforth, Class Conflict, 171. Louis Adamic, My America, 1918–1938 (New York: Harper and Brothers, 1938), 414. 24. See Feurer, “The Nutpickers’ Union,” and Mark Naison, “The Southern Tenant Farmers’ Union and the CIO,” herein. According to Robin D. G. Kelley, Hammer and Hoe: Alabama Communists during the Great Depression (Chapel Hill: University of North Carolina Press, 1990), 143–44, Communists Joe Howard and C. Dave Smith organized a successful sit-down at the American Casting Company in 1936, only to be fired by the SWOC for acting without authorization. 25. At the Westinghouse plant near Pittsburgh, a key organizer was dismissed and 2,000 men and women walked off the job. By the next morning 13,000 striking workers had linked hands to form a huge human chain around the Westinghouse complex. Giant processions of strikers and supporters gradually closed down the entire Monongahela Valley. On November 1, 1916, a parade, bedecked with red flags and led by a Lithuanian band, invaded steel mills, chain works, and machinery companies, bringing out 36,000 workers. Montgomery, Fall of the House of Labor, 322–25. The Lawrence strike of 1919 is described in The Essays of A. J. Muste, ed. Nat Hentoff (New York: Macmillan, 1967), 55–77. 26. Walker C. Smith, “The Voyage of the Verona,” in Rebel Voices: An IWW Anthology, ed. Joyce Kornbluh (Oakland: PM Press, 2011), 108. 27. Franklin Folsom, Impatient Armies of the Poor: The Story of Collective Action of the Unemployed, 1808–1942 (Boulder: University of Colorado Press, 1991), 305. 28. 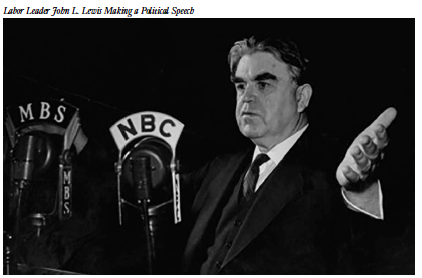 Len DeCaux (before he went to work for the CIO) paraphrasing Lewis’s testimony, Federated Press dispatch, Columbia University Oral History Project, April 2, 1935, quoted in “Possibility of Radicalism,” above. 29. Ronald Radosh, “The Myth of the New Deal,” in A New History of Leviathan, ed. R. Radosh and M. Rothbard (New York: E. P. Dutton, 1972), 152. 30. Brody, “The Emergence of Mass-Production Unionism,” 103–04. 31. David Brody, “John L. Lewis,” in Workers in Industrial America, 169–70. 32. William Forbath, Law and the Shaping of the American Labor Movement (Cambridge: Harvard University Press, 1991), 165. 33. Baldwin to Perkins, June 2, 1933, quoted in Cletus Daniel, The American Civil Liberties Union and the Wagner Act: An Inquiry into the Depression-Era Crisis of American Liberalism (Ithaca: Cornell University Press, 1980), 34. 34. Van Kleeck to Wagner, March 12, 1934, quoted in ibid., 71–73. 37. Nelson, American Rubber Workers, 156. 39. Peter Rachleff, “Organizing ‘Wall to Wall’: The Independent Union of All Workers, 1933–37,” herein. 40. In the spring of 1934, 25 percent of all industrial workers belonged to company unions, with two-thirds of these organized under NRA auspices. Rick Fantasia, Cultures of Solidarity: Consciousness, Action, and Contemporary American Workers (Berkeley: University of California Press, 1988), 36–37. For company towns, see Eric Davin, “The Littlest New Deal: SWOC Takes Power in Steeltown,” paper delivered at the annual meeting of the Organization of American Historians, 1992. 41. Lynd, “Possibility of Radicalism,” above. 42. Borsos, “We Make You This Appeal” (the Diamond Match strike in 1934, the Columbia Chemical strike in 1934, the Ohio Insulator strike in 1935, the Columbia Chemical sit-down strike in 1936, and the Pittsburgh Valve and Fittings strike in 1936). 43. Irons, “The Challenge of National Coordination,” herein. 44. Janet Irons, “A New Deal for Labor? Southern Cotton Mill Workers and the General Strike of 1934,” paper delivered at the annual meeting of the Organization of American Historians, 1989. 45. Brody, “The Emergence of Mass-Production Unionism,” 104. 46. Edsforth, Class Conflict , 187, 272n101. 47. “Your Dog Don’t Bark No More,” above. 48. 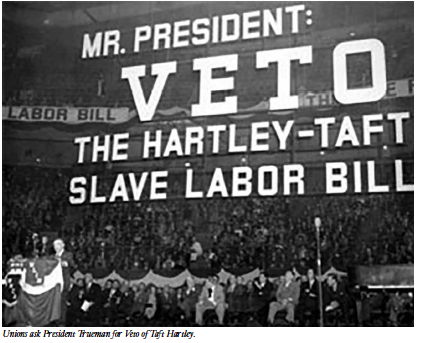 Ronald W. Schatz uses this phrase to describe unions as they were after the passage of the Taft-Hartley Act in 1947. “Philip Murray,” in Labor Leaders in America, ed. Melvyn Dubofsky and Warren Van Tine (Urbana: University of Illinois Press, 1948), 250. But the words apply equally well to the status of unions certified by the NLRB as exclusive bargaining representatives at all times after the passage of the NLRA in 1935. As David Montgomery writes of the work of Secretary of Labor William B. Wilson during World War I: “The consistent theme guiding Wilson’s work was that employers should be encouraged to negotiate with legitimate unions and to shun the IWW and other groups deemed ‘outlaw’ by the AFL. Here was the appearance in embryonic form of the doctrine of a certified bargaining agent, which was to be incorporated into the law of the land in 1935.” Montgomery, Fall of the House of Labor, 357. 49. As Christopher Tomlins has most fully explicated, CIO unions surrendered their autonomy in exchange for government assistance in obtaining employer recognition. In fact, he writes, “the legitimacy of collective activity putatively guaranteed by labor relations law had been conditional almost from the outset. 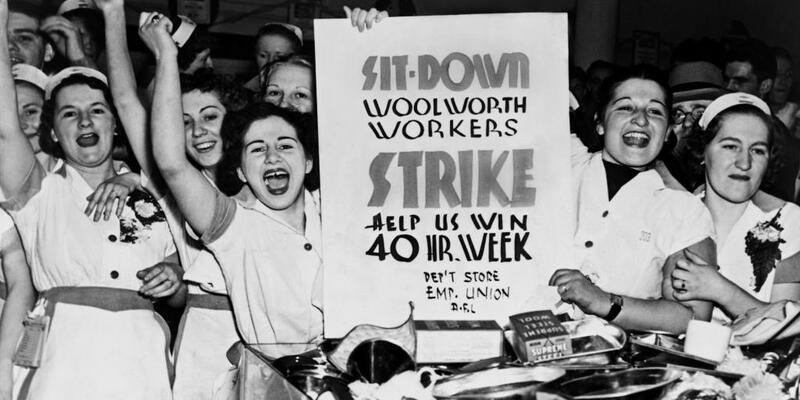 During the debates of the 1930s, proponents of the Wagner Act had stressed, both before and after its passage, that collective bargaining was a means to an end, and that the end was industrial stability and labor peace.” The upshot was that “what the state offered workers and their organizations was ultimately no more than the opportunity to participate in the construction of their own subordination.” The State and the Unions: Labor Relations, Law, and the Organized Labor Movement in America, 1880–1960 (Cambridge: Cambridge University Press, 1986), 318, 327. 50. Not until 1943, twelve years after its founding, did the Independent Textile Union hire its first full-time organizers. Gerstle, Working-Class Americanism , 81–82, 269–70. 51. Cohen, Making a New Deal , 358. 52. Edsforth, Class Conflict , 182–83. 53. 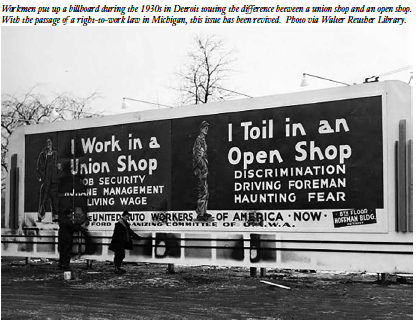 Steve Fraser, Labor Will Rule: Sidney Hillman and the Rise of American Labor (New York: Free Press, 1991), 403, and “The Labor Question,” in The Rise and Fall of the New Deal Order, 1930–1980, ed. Steve Fraser and Gary Gerstle (Princeton: Princeton University Press, 1989), 77–78. Ronald Edsforth says substantially the same thing about the UAW’s efforts to control shop direct action. Edsforth, Class Conflict, 177–78. 56. Steve Fraser, “Sidney Hillman: Labor’s Machiavelli,” in Labor Leaders in America, ed. Dubofsky and Van Tine, 221. 57. Fine, Sitdown, 90–91, characterizes the resolution to support a farmer-labor party as “a Communist party-line resolution.” However, Kevin Boyle, “Building the Vanguard: Walter Reuther and Radical Politics in 1936,” Labor History 30 (Summer 1989): 433–88, quotes at length from letters by Walter Reuther to his brothers Victor and Roy Reuther, April 22 and May 2, 1936, suggesting that Walter Reuther, a member of the Socialist Party at the time, strongly supported the resolution in favor of a farmer-labor third party and was aware of the many attempts to set up farmer-labor parties throughout the country. 58. David Brody, “The Uses of Power II: Political Action,” quoting Philip Murray, in Workers in Industrial America, 220–21.